With so many new cameras out today, it might be difficult to figure out exactly what type of memory cards they can support. Some cameras have a single memory card slot with particular specifications, while others have dual memory card slots, sometimes with completely different specifications. We decided to make a comprehensive table with popular modern cameras and their memory card slots along with their specifications, in order to make it easy for our readers to decide what memory cards are compatible for which cameras. We hope you find the below camera memory card compatibility guide useful when choosing memory cards for your camera. Please note that the cameras in the below table are listed alphabetically. If you have any questions about the below table or if you have any corrections, please let us know in the comments section below. If you would like to find out about memory cards in detail and find out their differences, please see our Understanding Memory Cards article, where we go in depth about microSD, SD, Memory Stick, CompactFlash, CFast and XQD cards in detail. For information on how to take care of memory cards, please see our article on How to Properly Use and Care for Memory Cards. For memory card storage recommendations, check out How to Store Memory Cards and if you want to recover images from a memory card and don’t know how, our guide on How to Recover Deleted Photos from Memory Cards might help you out. For Z 7 and Z 6 shouldn’t the additional note say “compatible with CF Express in the future”… it says CFast… I thought they are two completely different things. Henry, you are right – it was a typo, which I have just fixed. Thanks for letting me know! Currently, and for the last year, successfully using Lexar SD UHS II cards on my two Olympus OMD E-M5 II. Stefan, thank you for letting me know. Not sure how I screwed that one up, but I fixed the table. Nice overview Nasim. 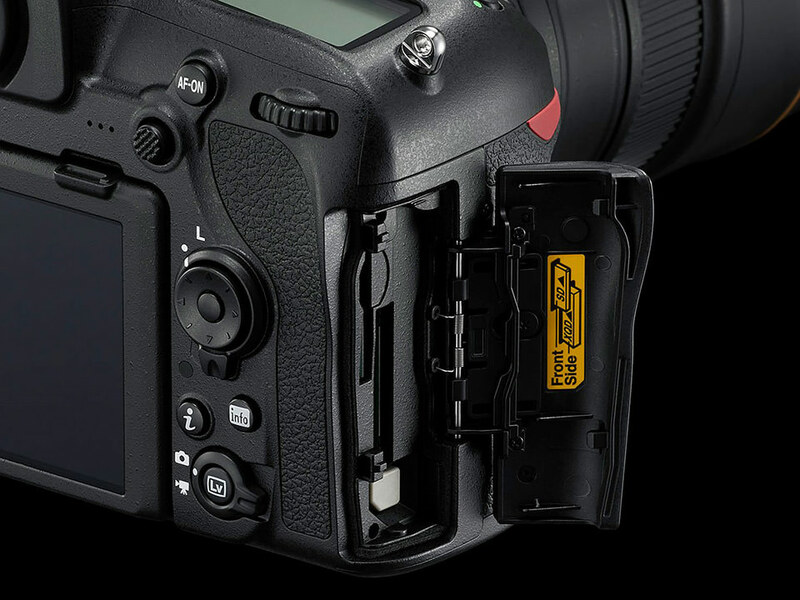 In summary, every camera available today, except the Nikon D5 and Nikon Z6/7, will accept a UHS-1 SD-card. Good job they are giving away XQD cards for free with those Nikon bodies in the UK. Canon 1D X Mk2 too. Good spot. Luckily Canon retained the pre-historic CF-Card, which still works as well as anything else today. Thanks Ian, I fixed the typo! Pls add Olympus OM-D E-M10 III: one slot “SD UHS-I / II”. I don’t understand why you writing “UHS-I / II” instead of just “UHS-II”: UHS-II seems to be backward-compatible. It’s just like “USB 3” means full compatibility with USB 2 or USB 1. I also want to admit that not always faster card is better: for example Nikon D750 operates faster with “SanDisk Extreme Pro 95MBs SDHC UHS-I 64Gb” than “Transcend Ultimate UHS-II U3 R285 W180 64Gb” because one and only data link of UHS-I provides faster speed than main 1 of 3 links of UHS-II. UHS-II-compatible E-M10mk3 writes UHS-II about 1.5x faster than UHS-I with these same 2 cards. Also one can find useful info about cards and cameras on cameramemoryspeed dot com to understand is if worth buying the fastest card (which usually costs alot) for camera that possibly wouldn’t be able to operate at maximum card speed. Thanks Murrko. We initially only had UHS-II listed, but it was difficult to see in the table where the big differences were between “II” and “I”, so we decided to make it a bit longer – it is purely done for visual differences. You are right, UHS-II is backwards-compatible. Nasim, thanks for the great info. The dual memory card slots in different formats has held me back from purchasing a Nikon D850. I find the CF slot useless on my D810, as I have invested in high speed high capacity SD cards, nobody has ever been able to explain a sensible reason for not having a single card format. Jim, looking forward to seeing you soon (sorry, been a bit behind my emails lately). The D850 uses XQD, but I wish Nikon did two XQD slots instead of XQD + SD. If burst speed and buffers were not an issue, dual SD card slots would also work great. I see that you’ve only put the GH series from Panasonic :( Why no love for the rest of them? The G9 has two UHS-II slots, the G85 has one UHS-II. Thanks for the chart though, it’s very useful! Ama, I have updated the chart with the missing G9 and G85 cameras. Thank you!